After years of building up your business, the time has come to sell. Maybe you have an interested buyer… maybe not. Still, you need a lawyer to help you seal the deal. If you are looking for an experienced and knowledgeable lawyer who understands the ins and outs of NJ business, someone you can count on to handle the details of closing your sale in an efficient and cost effective manner, then Hanlon Niemann is the firm for you. Hanlon Niemann works with businessmen and women throughout the state of NJ in the real world of NJ business. We not only know the laws about selling a business in NJ, we’re practical and proactive with advice, solutions and recommendations on how to make your business sale a seamless and transparent process with the goal of bringing about a successful closing. When representing a seller of a NJ business, we work so that our client’s interests are protected, that the representations and warranties provided in the documents are appropriate, that the transaction proceeds smoothly and quickly, and that any excluded assets are protected. We draft the documents that you will need for closing the sale and we also attend the settlement and issue a closing statement after it has been completed. The Sale of your New Jersey Business or Franchise requires our Experience! Hanlon Niemann will lead you through the entire process of selling your business, from the letter of intent, due diligence investigation, seller financing right through to the closing statement. We are here to protect your interests and to make the goal of selling your business a reality. Selling a business in NJ can be a complicated transaction. Don’t minimize the risk by going it alone. Fredrick P. Niemann, Esq. and his legal team will guide you step by step. 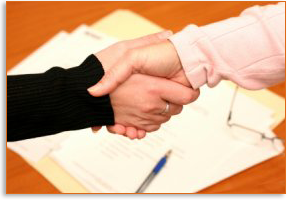 Once you have secured a buyer for your business, our lawyers can help you negotiate the terms of your agreement. We will draft your purchase agreement whether it is a Stock Purchase Agreement or Asset Purchase Agreement. In addition to all of the above, selling a franchise has some extra steps. If you are a franchisee who is selling your franchised business, you need to secure the consent of your franchisor and your landlord. We will incorporate the necessary franchise related clauses and important contingencies into the sales agreement to protect you. In addition to the normal business acquisition issues, we make sure that all of the franchise agreements are assigned. We also ensure that all post-closing liabilities and assets of the corporation, including obligations to franchisors, are transferred to the new owner. We have years of experience helping clients. Our clients appreciate that we provide high-quality legal work and prompt, responsive service. If you plan on selling a franchised business, contact Fredrick P. Niemann today. For more than 30 years, we have helped small and medium-sized corporations, businesses and individuals with their business matters in New Jersey. Our service to you begins when the articles of incorporation are first written. Businesses must plan for profitability, tax consequences, employment issues, and other concerns. Business can change with commercial needs and realities. Savvy businesspeople will keep an open eye for changing risks and opportunities. We help you launch your new corporation to minimize risk and legal liability to promote your success. After closing, if your business requires a goods or services contract, employment agreement, licensing and/or distribution agreement (or any other type of agreement), a contract defines and controls the business relationship. Let us be a clear voice for you by writing, reviewing, and negotiating your business contracts. Are you concerned about protecting your valuable proprietary information and the possibility that your key employees might compete directly against you? If so, let our experienced corporation attorneys draft a non-compete agreement for your corporation that can assist you in protecting your valuable proprietary and confidential business information. We can also prepare a non-competition agreement for your employees that can protect your interests. We can counsel you on the best methods of implementing a non-compete agreement with existing and new employees. These take place upon the death, disability, retirement or withdrawal of a business owner, key employee or partner. Depending on the type of business, transfers of ownership interests may not achieve a complete change of control. 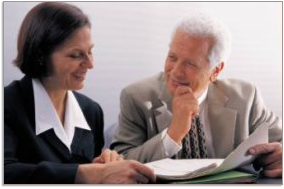 Careful estate and corporate business planning can minimize problems and facilitate business owners’ goals. We will review your franchise document(s), explain your obligations, and advise you throughout the process of purchasing or selling a franchise. We want to be there to guide and protect you through this complicated yet potentially rewarding investment decision. Discovering the physical location for your enterprise is one of the most exciting steps in establishing a new company. It brings your business plan one step closer to profitability. Commercial leases are highly negotiable, from the terms and conditions to the financial payments and methods of payment. You should not sign a lease agreement before having an experienced NJ commercial leasing attorney review the lease and negotiate a lease agreement that can save you money today and for years to come. A small mistake or oversight will cost you substantial money. Whether you need assistance with just one sale(s) contract or would like an ongoing relationship with a NJ attorney who you can call on for all your company’s legal needs, Fredrick P. Niemann is here for you. Contact Fred at fniemann@hnlawfirm.com, or call him today toll-free at (855) 376-5291. Please contact Fredrick P. Niemann today to discuss any issue that is or may impact your NJ business at fniemann@hnlawfirm.com, or call him toll-free at (855) 376-5291. He looks forward to speaking with you.